MIT study projects potential impact of climate change on large power transformers in U.S. Northeast. Nine of the ten biggest blackouts in U.S. history were caused by hurricanes, whose sustained winds knocked out power lines over broad geographical areas. Topping the list is Hurricane Maria, which in October disabled the electric grid in Puerto Rico and the U.S. Virgin Islands, leaving the majority of the population without power for months. Climate scientists project that as the global average surface temperature continues to rise, so too will the frequency and intensity of major storms as well as of heat waves and high temperatures. As a result, we are likely to see even more widespread power outages—not only from hurricane winds but also from the effects of prolonged and extreme heat on a critical yet vulnerable component of the power grid: the large power transformer (LPT). LPTs are transformers rated at or above 100 MVA (Mega Volt-Amperes), and thousands are deployed across the U.S. But the current stock of LPTs is old; 70 percent or more are 25 years or older out of an expected lifetime of 40 years, and they are very costly and time-consuming to replace. Driven by global warming, more frequent and intense heat waves may degrade the operational lifetimes of LPTs and increase the risk of their premature failure. Overheating reduces the structural integrity of the electrical paper insulation used in LPTs, causing catastrophic short circuits; the failure rate becomes more pronounced as the temperature rises, causing more intense chemical reactions that age the insulation. Widespread LPT failure could lead to long-lasting grid disruption—with collateral impacts on grid-reliant systems such as cyber, communications and financial systems—and major economic losses. To assess the accelerated risk of LPT failure in coming decades, researchers from the MIT Joint Program on the Science and Policy of Global Change and MIT Lincoln Laboratory studied the potential impact of global warming and corresponding shifts in summertime “hot days” on LPT lifetime at an LPT location in the U.S. Northeast. They found that for a background 1 ̊C rise in temperature, the lifetime of the transformer decreases by four years, or by 10 percent. Therefore, end-of-century mean global warming projections of approximately 2 ̊C (a climate policy-driven scenario) and 4 ̊C (a business-as-usual scenario) would result in a mean reduction in expected transformer lifetime of 20 to 40 percent. The results are reported in Climatic Change. The researchers also assessed the future changes in hot-day occurrence under the 2 ̊C and 4 ̊C climate scenarios, using two different approaches: a conventional method that detects the occurrence of hot days based on the projected daily maximum temperature from a suite of climate models, and a recently developed analogue method that instead uses climate model-simulated large-scale atmospheric patterns (e.g., wind and pressure conditions) associated with observed local extreme temperature. Both methods indicate strong decadal increases in hot-day frequency. By the late 21st century, the median number of summertime hot days per year could double under the 2 ̊C scenario and increase fivefold under the 4 ̊C scenario, along with the aforementioned decreases in transformer lifetime. Most importantly, the analogue method showed far greater inter-model consensus—i.e., a smaller range of outcomes in the results. “The improved inter-model consensus of the analogue method is a promising step toward providing actionable information for a more stable, reliable and environmentally responsible national grid,” says Xiang Gao, the study’s lead author. Xiang Gao's research is focused on the development and application of land-surface models, and using satellite remote sensing data to investigate precipitation events and hydrologic properties, including storm frequency and duration, soil wetness, and vegetation biophysical parameters. Her recent work has addressed land-climate interactions, the global water cycle, Arctic processes, and remote sensing of vegetation biophysical parameters. Prior to joining MIT, Dr. Gao was a Research Scientist at the Center for Ocean Land Atmosphere Studies (COLA) in Calverton, Maryland. 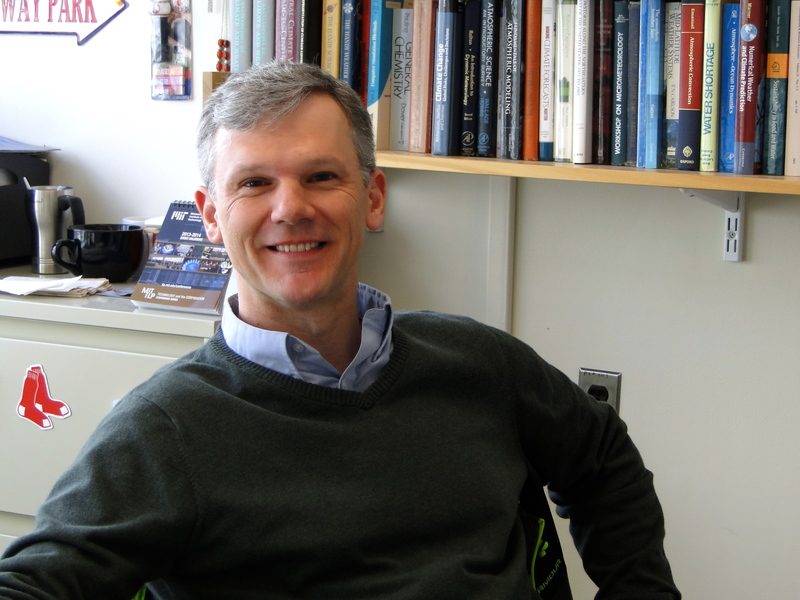 C. Adam Schlosser is a Senior Research Scientist in the Center for Global Change Science and serves as the Assistant Director of Research for the Joint Program at MIT. His main interests are land-climate Interactions, the global water cycle, land biogeochemistry, arctic processes, and regional climate change (uncertainty and extremes). His primary interests are the modeling and prediction of global hydrologic, ecologic, and biogeochemical change using the MIT’s Integrated Global Systems Model (IGSM) that includes model development of its terrestrial component – the Global Land System (GLS). Gao, X., C.A. Schlosser and E. Morgan (2017): Application of the Analogue Method to Modeling Heat Waves: A Case Study With Power Transformers. Joint Program Report Series Report 317, August, 16 p.
Water Problems in Asia's Future?